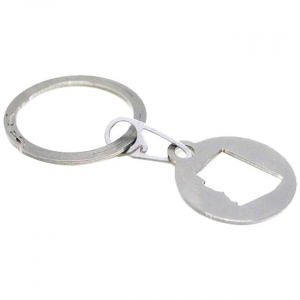 Made in America, this 18/8 stainless steel bottle opener is laser cut & finished with a laser-engraved design. 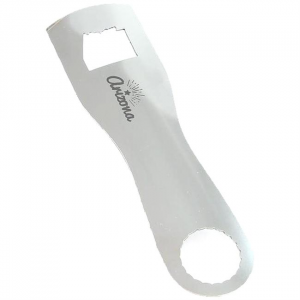 It's the perfect compliment to your kitchen, allowing you to always be ready for Open Beer Season. 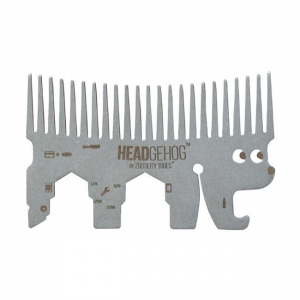 The Headgehog is a multi-functional comb that fits in the wallet. It has 4 wrenches, bottle opener, phone kickstand, screw driver and chip clip all on one convenient piece of hardened stainless steel. Can't decide on the perfect gift? Give 12 gifts in one with the Zootility Tools Everyday Carry gift box. Its laser-cut box houses a PocketMonkey(R) multi-tool, 2 key rounds and a Rustico wallet. Stay groomed on the go! 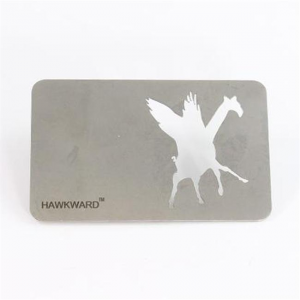 The credit card-sized HeadgeHog not only keeps your mane tamed but features 9 other tools you can carry in your wallet or purse. The PocketMonkey is one of the lightest multi-tools on the market, and it's thin enough to fit in your wallet so you can carry 12 useful tools with minimal bulk and weight. Feed your inner cub scout spirit with the Zootility Tools Urban Scout gift box. Its laser-cut wood box houses a WildCard(TM) wallet knife and spare blades, making it a stellar adventure gift. Made entirely from heat-treated stainless steel, the Zootility Tools Wildcard wallet knife weighs only 1.1 oz. and measures 2mm thick, letting you comfortably store it in your wallet or pocket.